Sou Fujimoto's cloud-like Serpentine Pavilion: What makes it special? How was the Serpentine Pavilion created? Sou Fujimoto is described as one of the most innovative architects of his generation. 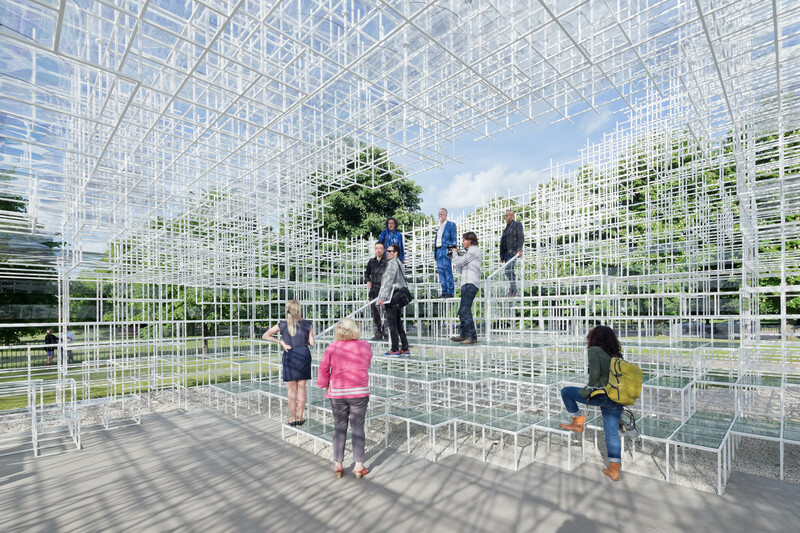 Although he was 41 at the time of the exhibition, Sou Fujimoto was at that time the youngest artist to design the Serpentine Gallery Pavilion, which is a world-famous art center in London that features commissions from some of the world’s most prominent architects. Some of the architects that have been featured in the past include Frank Gehry, Oscar Niemeyer (deceased) and Herzog & de Meuron. 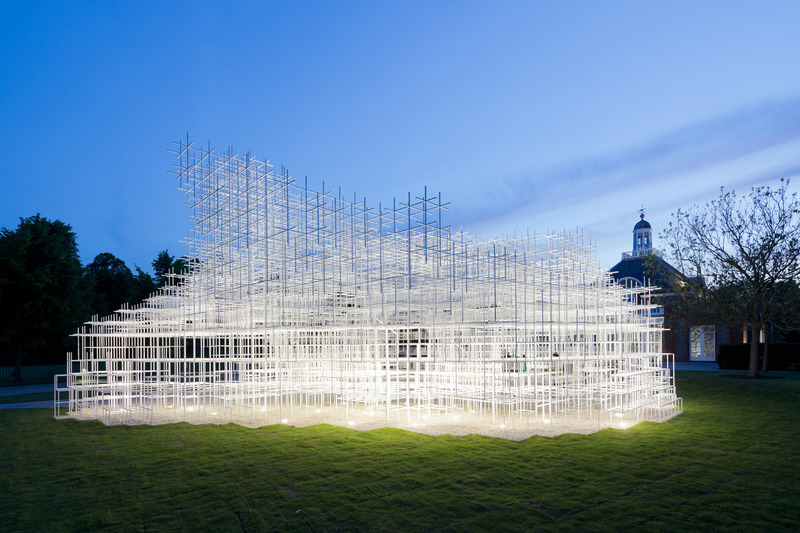 Fujimoto was the 13th architect to be featured at the Serpentine Gallery Pavilion in 2013. 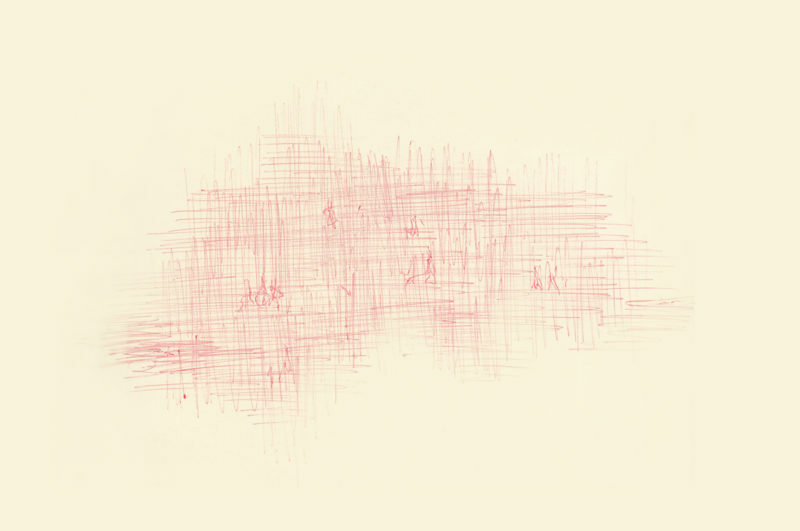 Born in Hokkaido, Japan, Sou Fujimoto was first inspired to pursue architecture by Le Corbusier and Mies van der Rohe. Known for his intricate and ornate structures that question the limits and the role that architecture plays in society today, his projects often become living and social environments that give visitors the freedom to behave and interact with them in ways that feel natural and undisturbed. Although his work at the 2013 Serpentine Pavilion was his very first, he has built a reputation for himself for creating elaborately complex spaces such a glass-walled public toilet1, as well as his work in the Mille Arbres area2 in Paris. The temporary structure created by Fujimoto was created using 20mm white steel poles that were arranged in a complex latticework or interlacing pattern that appeared to emerge from the ground as an iridescent matrix would. Taking up space in 350 square-meters of lawn right at the forefront of the Serpentine Gallery, Fujimoto’s structure was delicately balanced with a lightweight and semi-transparent exterior that allowed it to look as though it was floating against the cloudy background. Designed as a flexible and multi-purpose setting that could be used for social events, visitors were encouraged to enter and interact with the pavilion throughout its 4-month tenure at the gardens. The pavilion even had a café inside. 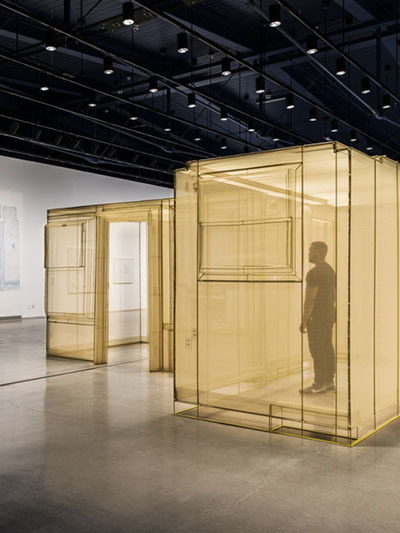 Each unit used to create the semi-transparent pavilion was composed of steel bars that formed a see-through, irregular ring that allowed visitors to remain part of the landscape without being affected by the elements. The Serpentine Pavilion helped to explore the fundamental question of how architecture differs from nature or the manner in which architecture could be included or merged as part of nature. In general, the project was created to explore the boundaries that exist between nature and man-made things. Because the gardens where the pavilion was located were green; and since the pavilion itself was transparent, it created a new environment and architecture that forced the natural and the artificial to merge and blend in perfectly. All images by Sou Fujimoto/sou-fujimoto.net unless otherwise noted. 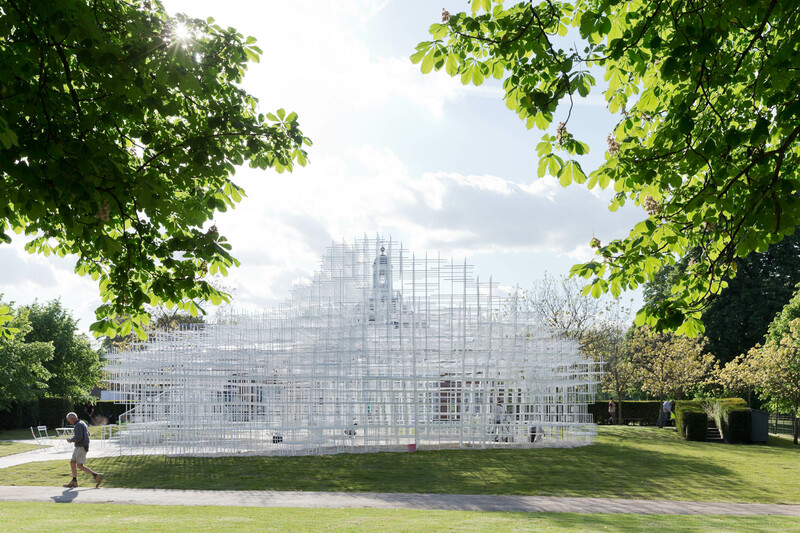 Serpentine Gallery director Julia Peyton-Jones explains why it was a gamble to commission the relatively young Sou Fujimoto to design the 2013 Serpentine Gallery Pavilion. Home > Architecture > Sou Fujimoto’s cloud-like Serpentine Pavilion: What makes it special? 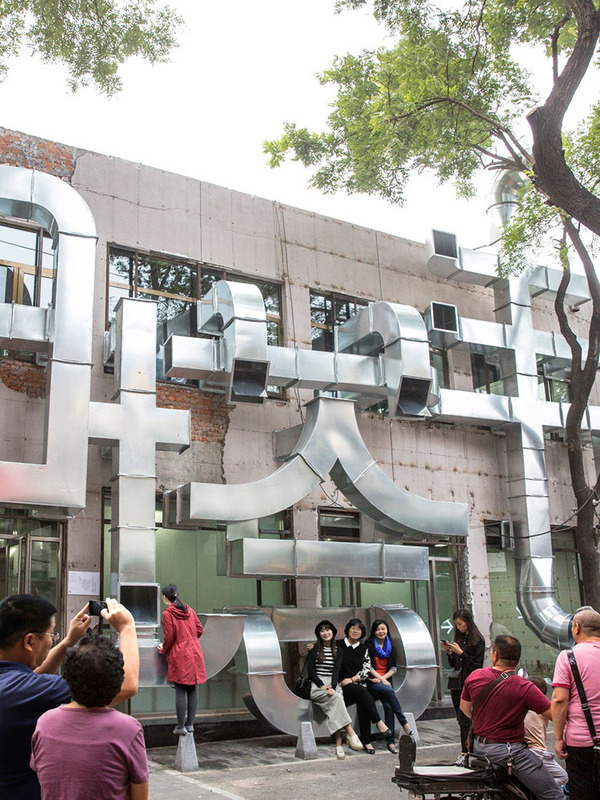 Posted on April 8, 2019	in the category Architecture and tagged interactive, Sou Fujimoto.